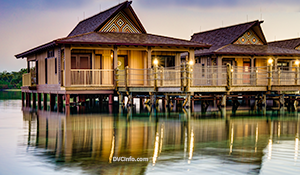 Home > DVC Information > Introduction to DVC > What is a DVC Home Resort? 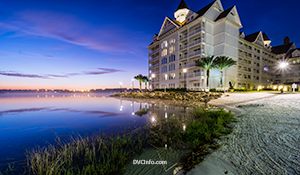 Being a timeshare program, members of the Disney Vacation Club purchase a deeded ownership interest in a particular resort that is part of the club. One of the first decisions a prospective Disney Vacation Club member has to make, after deciding to buy into DVC, is which resort they should purchase and make their home resort. DVC Annual Dues are based upon the operating budget for one’s home resort. Members can book a stay at their home resort 11 months in advance of the check-in date (This is called the “home resort booking advantage“). Stays at non-home resorts cannot be booked until 7 months prior to the check-in date. If you like to visit Walt Disney World at popular times of year, those four extra months could make the difference in your ability to get the accommodations you want. We’ll cover availability of rooms later, but keep this in mind. Ownership at each resort has a stated contract end date, after which the ownership interest ends. You can buy a contract for one resort that expires in 2042, versus a contract for another resort that expires in 2068. If you’re a young person, those additional 25 years may matter. Should you purchase where you have your heart set on staying, where you wouldn’t mind staying, or where you can find the best deal? ➤ Choosing your home resort: what to consider? Next: How difficult to book?